Our rosary lapel pins are perfectly priced to hand out during religious gatherings and sacramental celebrations. 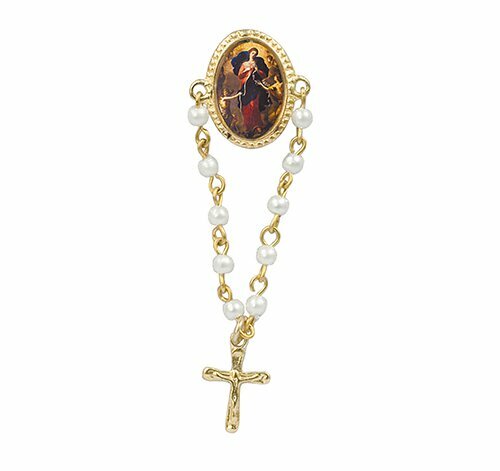 Each pin comes with a full-color devotional image, a small one decade rosary dangle and a clutch style back. Pins are also carded for easy handling.